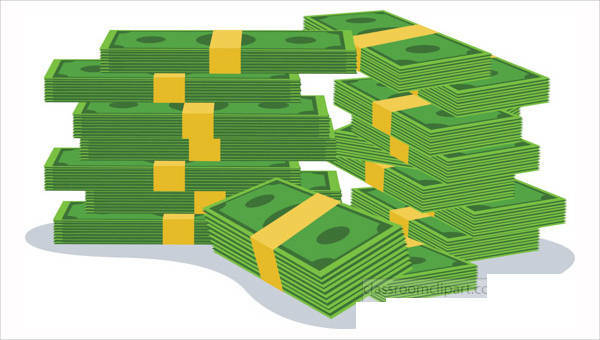 The importance of money is almost similar to that of food. Just like you can’t live even for a few days without food, you can’t survive for long without money. Money, in and of itself, is not very spectacular but is still quite important. The themes that have been detailed in these clip arts may be unlike each other especially when it comes to the color contrast and shades used. 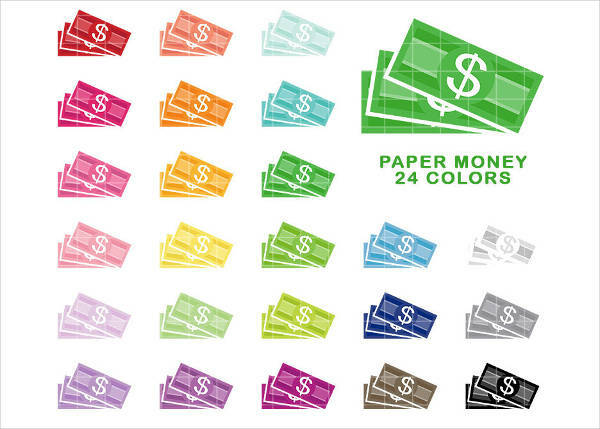 But one thing is a common factor when it comes to the color of money. It can be used at your own free will. 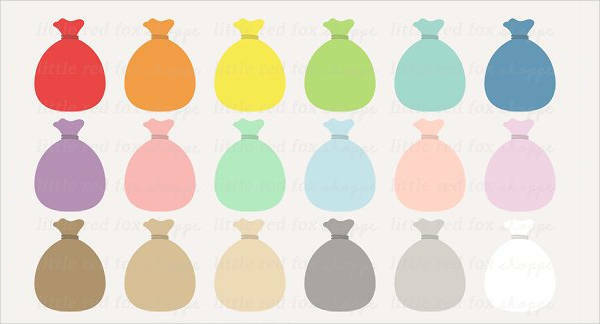 Take a look at these money clip arts and you decide which one will suit your need. They are all available in PNG and JPG format. These clip arts can all be easily downloaded as well. Browse through our list of Cartoon Cliparts listing. 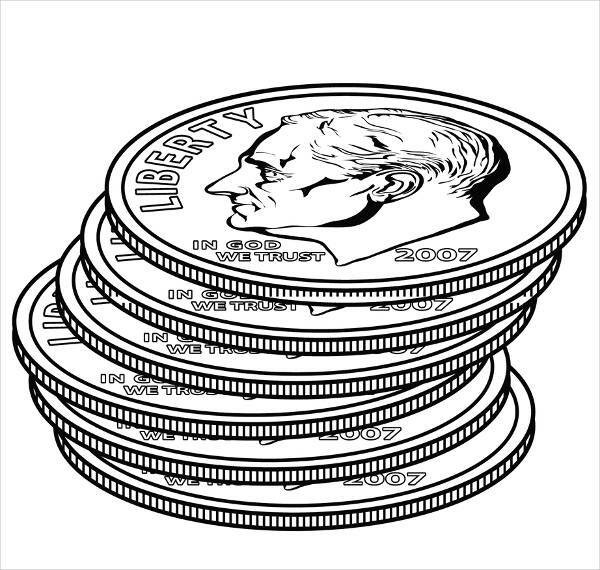 In Black and White Money Clip Art, America’s motto is stacked pile after pile courtesy of a pencil and black ink drawing of loose change. Since the downloaded image is editable, this image could work well as a backdrop for a poster. Making money preoccupies our waking life. But sometimes even in dreams, the concept of having a fat bank account strings along with us. Print this Stack of Money Clip Art as an inspiration for you to work hard every single day. Is money just suppose to be a piece of paper? When we give value to it that is when it becomes different. Exchange value that is. But what about those who are in poverty, do we really need to give them money? 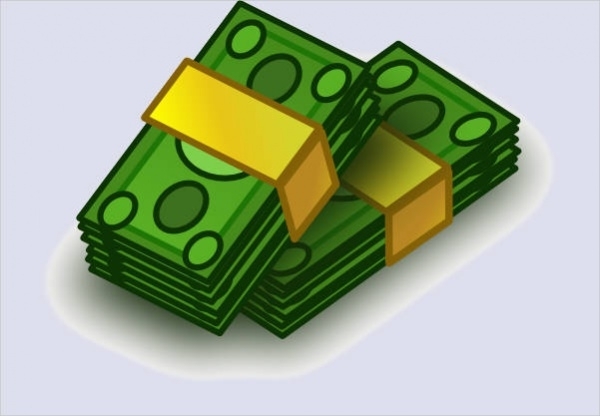 If you belong to a charitable institution you can use the Giving Money Clip Art to promote your advocacy. Spread the word! 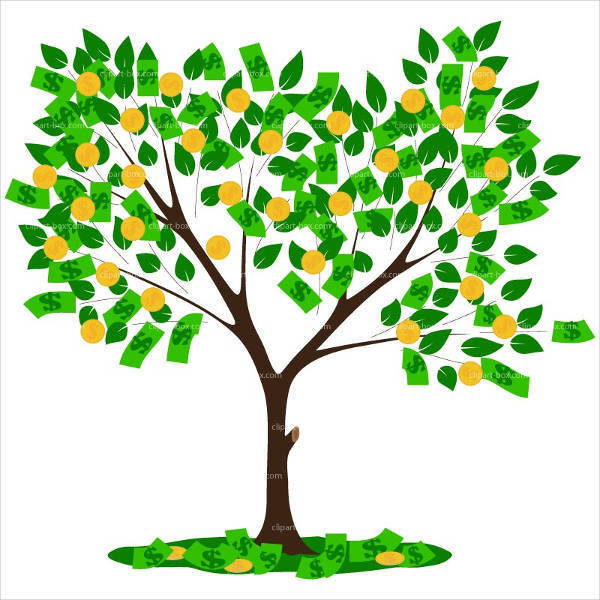 Whoever said that money doesn’t grow on trees hasn’t seen this Money Tree Clip Art yet? But who are we to argue. We know that there are things that should be earned honestly and we have no problems with that. Have this image be that powerful source of inspiration reminding you that being thrifty is rewarded at the end of the day. You should also see our Food Clipart listing. 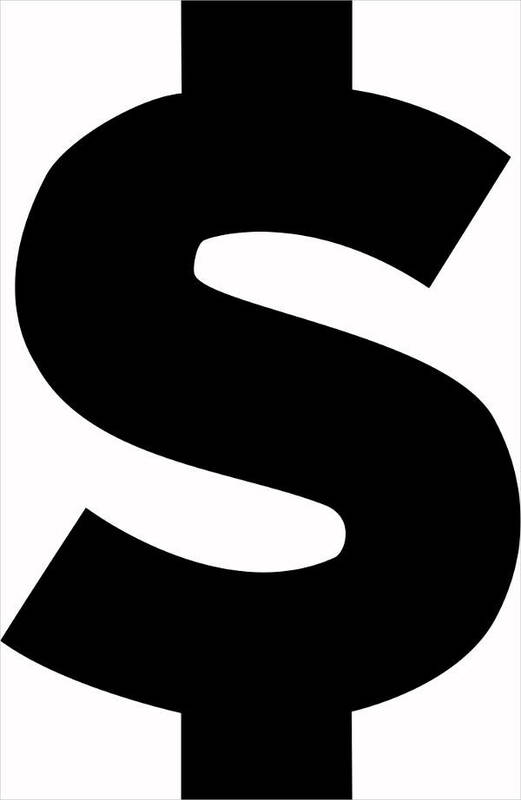 The dollar sign. Where did it come from? What were its origins? There are several theories about the first appearance of the dollar. One of it is that it had its roots in peso which was the colonial currency back then. Notwithstanding, the word dollar was even used by William Shakespeare in both Tempest and Macbeth. Which implies that the terminology was in usage prior to the Mayflower setting sail from Plymouth, England in 1620.